The Top Scholar Award is presented to one high school student in their final year (i.e. Grade 12) of high school, and one post secondary student who are the top Muslim students in London, excelling in both curricular and extracurricular activities. The STEM Award is presented to a hard­working and dedicated student who has excelled in any of the science subjects (excluding health and medical sciences). 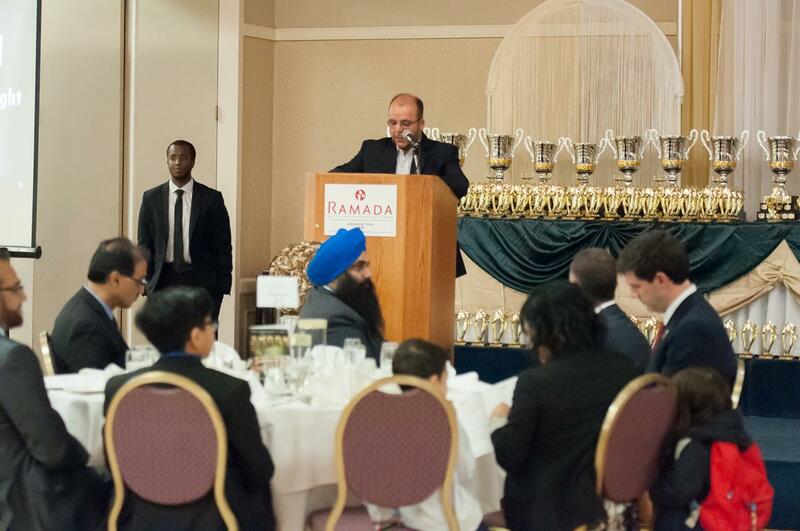 Two awards will be presented this year, one each at the high school and post­secondary levels. Excelling criteria include coming up with an invention, a scientific idea, or practical application; or participation in a major fair, project, or competition. The Health Science Award is presented to a post­secondary student who has demonstrated interest in pursuing a career in a health­ related field. The ideal candidate will have excelled in the health or medical sciences fields through his/her academic achievement and involvement in community health initiatives. The Post­Secondary First­Year Academic Excellence Award will be presented to a post-secondary student who has completed the first year of their program (2015­2016) and achieved an overall average of 90% or higher. The Excellence Award recognizes all high school and post­secondary students who apply to this award and have achieved an overall average of 90% or higher in all years of high school or post­secondary education. The Distinction Award recognizes all high school and post­secondary students who apply to this award and have achieved an overall average of 85% or higher in all years of high school or post­secondary education. The Honours Award recognizes all high school students who apply to this award that have achieved an overall average of 80% or higher in all years of high school. secondary student who have shown the most academic improvement when comparing this year’s final marks with those of last year’s marks in all or most subjects. The Best High School MSA Award recognizes the MSA that has served its school community to the best of its abilities and resources. The ideal MSA will have shown progress in the improvement of student life in their school, collaborated with other clubs, and made a positive impact on their school and/or the greater Muslim community. The Community Service Award is presented to one high school student, one post­secondary student, and one professional who has volunteered their time to the service of the Muslim and larger London community through involvement in one or more organizations on a long-­term basis. The Humanitarian Service Award recognizes one post­secondary student and one professional who has made significant contributions to a humanitarian cause either in Canada or abroad. 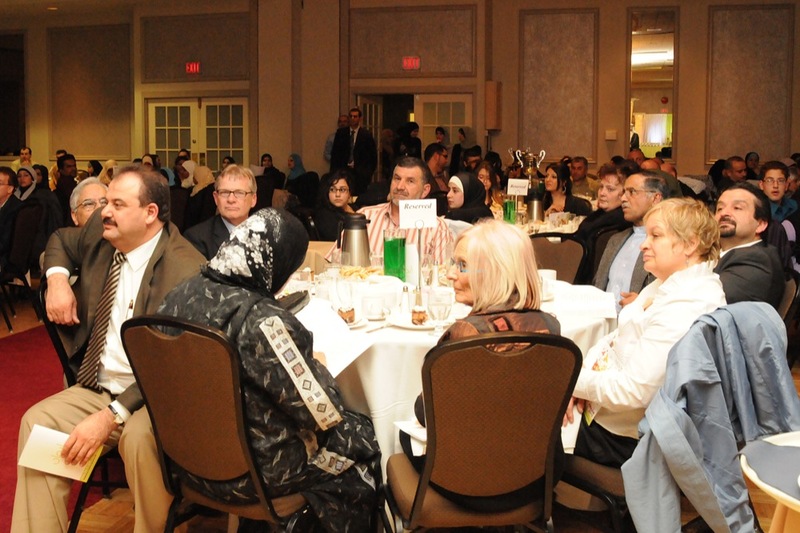 The Best Muslim ­Owned Business Award recognizes a Muslim ­owned business that has provided outstanding services and shown commitment to the Muslim and/or larger London community. This award is open to all businesses regardless of the business owners’ ages. The Leadership Award is presented to one high school student and one post­secondary student who, through the spearheading of a volunteer ­based initiative or acceptance of a leadership role in a non­profit organization or club at their university or college, has demonstrated several characteristics of exceptional leadership. The Business Award is presented to a single individual or a group who have either written a feasible business plan that is backed by a relevant reference, or successfully initiated a profitable business. Two awards will be presented: one at the high school level and one at the post­secondary level. The Career Advancement Award recognizes a professional who has shown advancement in his/her career by earning higher degrees (e.g. Master’s, PhDs, MBAs, etc.) and/or has obtained exceptional achievements by receiving national or international awards. 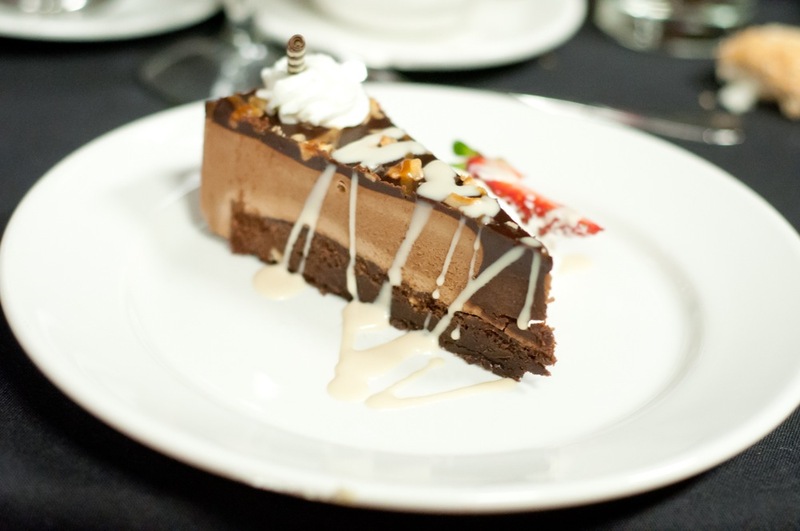 The Professional Entrepreneurship Award recognizes a single individual or group of professionals who have successfully initiated a profitable business. The Digital Arts award is presented to an artist who has demonstrated exceptional talent using one or several digital art forms. This may include (but is not limited to) graphic design, 2D/3D animation, photography or film. The applicant will demonstrate their talent by submitting an original piece of artwork of their own design and execution, according to a specific theme (see application form for details). The Fine Arts award is presented to an artist who has demonstrated exceptional talent in the field of fine arts. This may include (but is not limited to) painting, drawing, sculpture, or crafts. The applicant will demonstrate their talent by submitting an original piece of artwork of their own design and execution, according to a specific theme (see application form for details). Four awards will be presented in this category: two at the high school level (one female, one male) and two at the post­secondary level (one female, one male). Successful applicants will be those who demonstrate excellent athletic abilities in a sport of their choice, and embody the characteristics essential for excellence in athletics. Three awards will be presented in this category: one at the high school level, one at the post-secondary level and one at the professional level. Successful applicants will be those who demonstrate clear talent in the field of creative writing through any print or digital means (e.g.newspaper articles, blog posts, poems, essays, short stories, spoken word, etc...). Applicants will be required to submit a piece of work of their original creation, according to a specific theme (see application form for details).